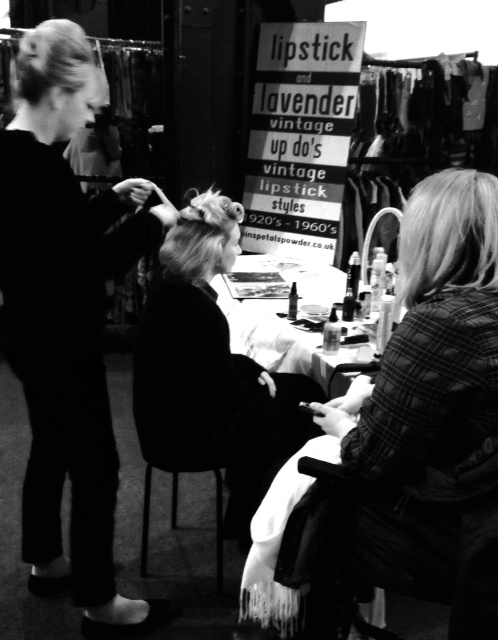 Thank you to everyone who visited my Pop Up Salon this weekend at Lou Lou’s Vintage Fair! Two fantastic fairs, Saturday at The Castlegate in Newcastle and Sunday in Middlesbrough’s Town Hall where I met so many fantastic people. It was great to create a variety of looks for vintage lovers, from victory rolls, fringe rolls, quiffs, bouffants and pin curls. My own beehive was pretty big and for a moment we were concerned that the car couldn’t accommodate it! Lipstick was applied in adorable shades of red from ruby woo, black cherry and cherries in the snow. Eyeliner looks varied from subtle and understated to 1950’s flicks through to a bold 1960’s graphic eye! 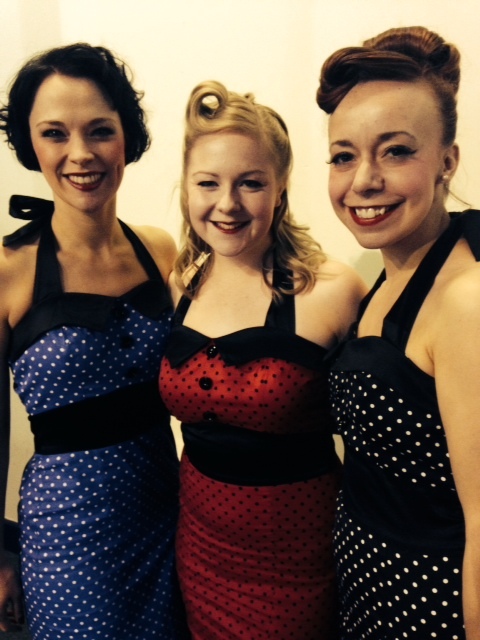 I also loved creating hairstyles for the super sweet singing trio The Darling Dollies who provided brilliant entertainment at the Newcastle event! 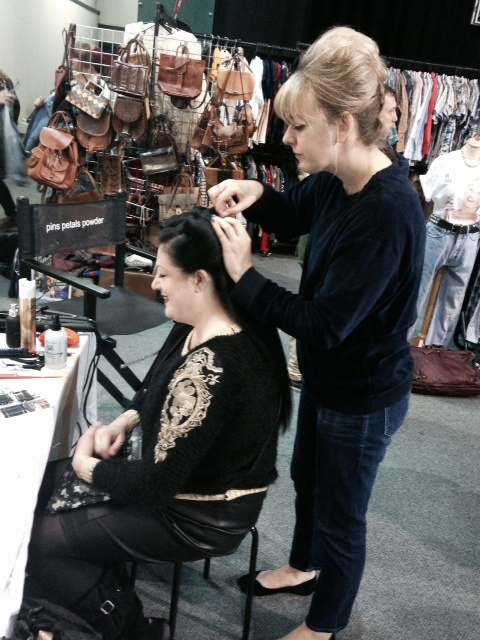 A big thank you to Emily who volunteered wonderful and savvy assistance to the operation as well as effortlessly modelling vintage inspired looks with perfect style! You were fab! It is brilliant to exhibit at Lou Lou’s Vintage Fairs, our fantastic host, Gina always creates a warm welcome and stall holders and visitors alike always make it such a fun and interesting experience. Looking forward to the next one!